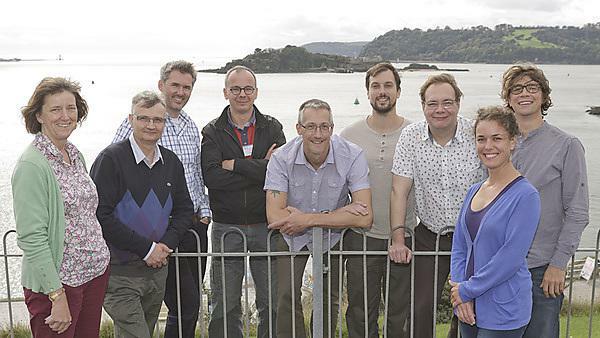 University of Plymouth supported a conference in Caen, which brought experts together to promote the effective governance of cross-Channel ecosystems. The Centre for Marine and Coastal Policy Research at the University is the lead partner in the PEGASEAS project – (Promoting Effective Governance of the Channel Ecosystem) from the INTERREG IVA programme made up of 12 partners – and aims to identify a common ground to tackling ecological and environmental changes to the Channel ecosystem. This conference, which took place at Caen University on 2 and 3 July 2014, was also led by the Upper Normandy Region, the University of Caen Basse-Normandie, IFREMER, and Devon County Council. Entitled ‘Science and Governance of the Channel Marine Ecosystem’, the forum examined how science can best inform governance decisions relating to the English Channel. The project partners launched the PEGASEAS “Compendium” at the event and this is the second of three PEGASEAS Cross Channel Forum events. The first was held in Southampton on April 8 2014, and the final event will take place in the autumn. The details for the autumn event will be posted soon on the project website. An experienced EU project/programme manager, Deborah Loughran, manages the PEGASEAS project with Drs Steve Fletcher and Gillian Glegg. Dr Angela Carpenter is a Research Fellow on the project and Rebecca Shellock, also of University of Plymouth, works on PEGASEAS as a Research Assistant. The PEGASEAS project merges cross-Channel science and policy-making. Its aim is to bring together research across fields such as biodiversity, ecosystem management, marine conservation, coastal management, blue growth, managing the human use of the Channel, and scientific research so that it can identify common and relevant governance outcomes, outputs and lessons learnt. When brought together, the results of these projects will offer new insights and provide clear, powerful, communicable and compelling advice to support improved governance of the Channel Marine ecosystem. The Forum presented an opportunity to learn about and discuss marine research related to the Channel. For more information, visit the project website, and PEGASEAS Project Manager Deborah Loughran can be contacted for details of projects, promotions and events, at deborah.loughran@plymouth.ac.uk. The INTERREG IVA programme is made up of 12 partners and aims to tackle ecological and environmental changes to the Channel ecosystem.